This week we welcome the Department for Education and HM Treasury to GOV.UK. 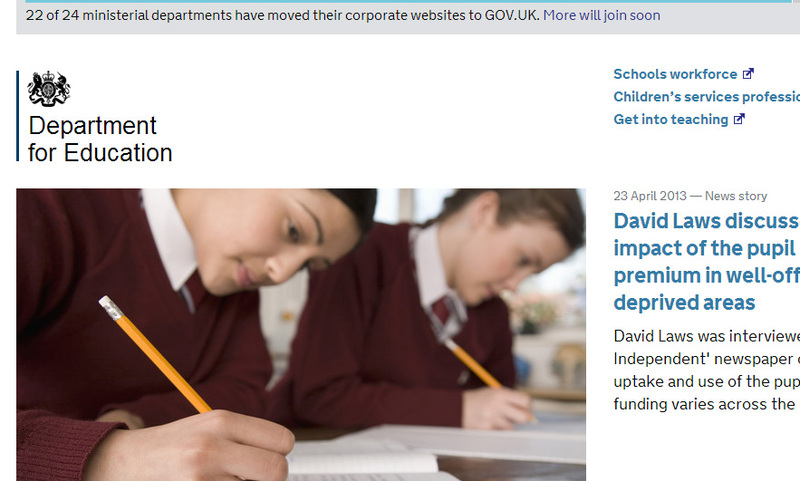 DfE is the 22nd department to move to the Inside Government section of GOV.UK. The department joins Inside Government with 1,546 publications, 579 news articles, 120 speeches and 15 policies. With DfE, we have released a new document type, called 'authored articles'. These are articles published by ministers or officials in the media (for example, Michael Gove's article in 'The Daily Telegraph' about reading). Although this was released to coincide with DfE's transition, it is something we have long been intending to do and we expect most departments to use it. HM Treasury is the 23rd department to move its content to GOV.UK. The Treasury joins us with 418 news articles, 330 publications, 207 speeches and 8 policies (they lead on 8 and are involved in another 3 that have already been published). HM Treasury also has a rich history and has come across with an account of the history of 11 Downing St and 1 Horseguards, which both sit in the new history section of GOV.UK. We are on track to have completed the transition of the 24 ministerial departments along with Number 10 and the Deputy Prime Minister’s Office by the end of April. This will bring to end an exciting 5 months and we will be celebrating this milestone here on the blog, so watch this space.